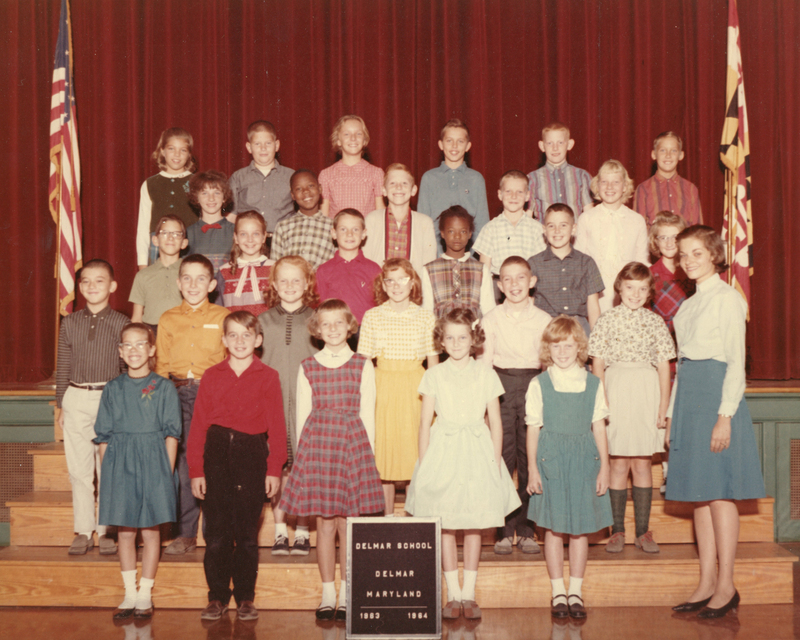 If you went to Delmar Elementary School with my dad, Walter Hovatter, from 1963 to 1964 – Here is your class photo. Dad is in the second row from the top, fourth from the left. I had my photo taken on the same stage many times, roughly 35 years later. Click to enlarge and feel free to download.